The following direction provides a description of the the DMCA Compliance Policy designed for our morethanroofing.com site. We at morethanroofing.com are committed to replying to any putative copyright law violations, should they take place. 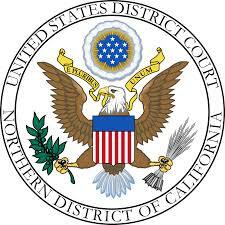 Letter of any alleged infringement should take the form suggested by the United States Digital Millennium Copyright Act which is available at http://www.copyright.gov. In the event that any material infringes on the copyright priviledge of any affected entity, we may remove the content from morethanroofing.com, prevent access to it, end or block access for those responsible for the content, and/or other action considered acceptable. We might also pass along record of the event for documentation and/or publication by other parties at our discretion. In the event that you believe that your legal rights have been violated, it can be a significant matter. This DMCA notice is available solely to expedite our attempts, as web-site owners, to prevent as well as eradicate infringement on intellectual property rights. It is no replacement for the assistance of competent legal counsel. Other alternatives and action, such as against an internet service provider (ISP), might possibly exist. You may also wish to retain suitable legal help as quickly as possible. For your convenience and to speed up resolution, a notice of alleged infringement may be delivered to morethanroofing.com via e-Mail, utilizing the email address and/or contact information that is provided for on this web-site. We warn that you will be liable for any and all legal and common law damages, in addition to court costs and attorney expenses, in the event that make a false claim that your copyright privileges have been violated. Six figure financial awards have already been granted for false complaints, so seeking the help of qualified legal counsel is strongly advised. STEP 1. Specify in adequate detail the copyrighted item you believe has been violated, by providing the URL to the protected work, ISBN#, or otherwise. STEP 2. Identify the URL of the webpage that you assert is infringing the copyrighted material outlined in item #1 that is referenced above. STEP 3. Furnish contact information for yourself and email address is preferred, phone is suggested). STEP 4. Provide information sufficient to allow us to inform the owner/administrator of the purportedly infringing web page or other content material like a blog or discussion board and posting email is preferred. STEP 7. Digitally confirm your affirmation. Remember that the party that represents the affected website or service provider of content can release a counter-notification under areas 512(g)(2) and (3) of the Digital Millennium Copyright Statute, and so we might again post or link to the content in that case. For your convenience, counter notification might be delivered by way of e-Mail, utilizing the email address and/or contact information provided on this web-site. We warn that you will be held liable for any and all statutory and common law damages, in addition to court expenses and attorney fees, if you submit a claim that someone elses copyrights have NOT been violated. STEP 4. Digitally sign off on the affirmation. CHANGE NOTICE: As with any one of our administrative and legal pages, the contents of this page can and certainly will change over time. Accordingly, these pages could read differently at the time of your very next visit. These changes are necessitated, and conducted by morethanroofing.com, in order to protect you and our morethanroofing.com website. If this page is very important to you, you should return frequently as no other notice of changed content will be provided either before or after the change or changes takes effect. COPYRIGHT WARNING: The legal directives and administrative document pages on this site, including this one, have been carefully drafted by an attorney. We at morethanroofing.com have money to license the utilization of these legal notices and administrative pages on morethanroofing.com for your protection and ours. This material may not be used in any way any for any reason and unauthorized use is policed via Copyscape to detect violators. QUESTIONS/COMMENTS/CONCERNS: If you have any questions about the contents of this page, or simply wish to reach us for any other reason, you can do so by using our Contact information.